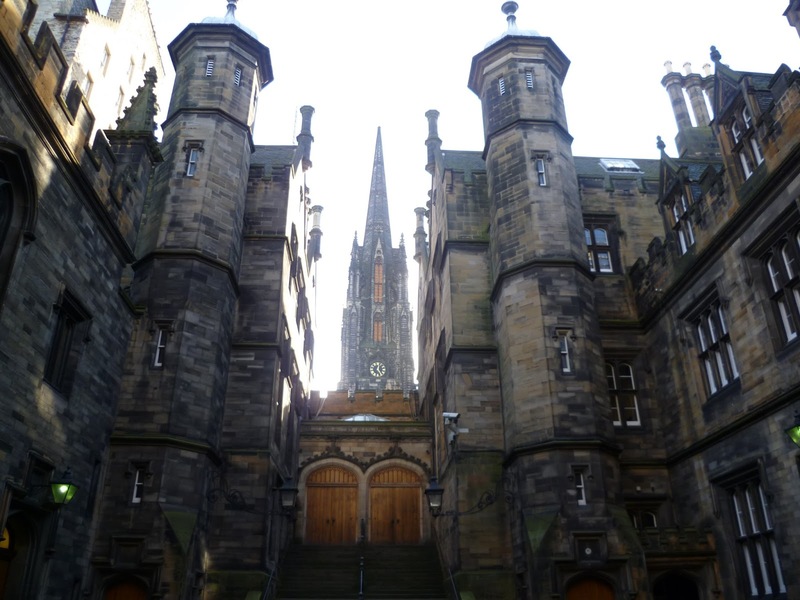 A few days after the Peter in Earliest Christianity conference at the Centre for the Study of Christian Origins at Edinburgh University finished, I still have more notes than time to share them with you. 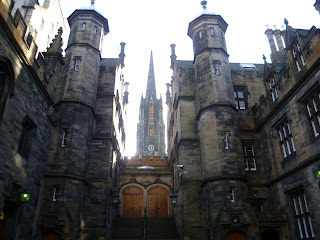 However, I do hope to write a few more posts before turning my attention to the International SBL conference. On the Last day of the conference, patristics Professor Sara Parvis (Edinburgh) delivered a very fun and informative paper on banking among early Christians. Easily the most original and creative presentation of the conference, Prof. Parvis shared several parallels between the contemporary Vatican Bank, which is called the Institute for the Works of Religion, and the ancient role of the bishop as the one to collect, maintain, and disperse funds to those in need. In light of Pope Francis' attempts to clean up the Vatican bank, she even spoke of the first attempt to do so, the return of Marcion's donation of 200,000 sesterces. Since therefore we have such proofs, it is not necessary to seek the truth among others which it is easy to obtain from the Church; since the apostles, like a rich man [depositing his money] in a bank, lodged in her hands most copiously all things pertaining to the truth: so that every man, whosoever will, can draw from her the water of life. Despite the mixed metaphor, the parallel is clear. Like a bank, the apostles deposit their treasure, which is later dispensed by the apostles' successors. The metaphor works particularly well considering the role of the bishops as the treasurer and dispenser of the common funds. While Irenaeus lists only one bishop of Rome at a time, he lists dozens of presbyters. Parvis suggests that the presbyters were running the individual churches of Rome while the early strong centralized bishop was primarily dedicated to administering the funds. This collective administration of funds was a uniting factor among the disparate churches. From St. Dionysius of Corinth's letter to the Romans, we get further support regarding the bishop's role as the distributor of funds, as the Church of Rome assisted those suffering elsewhere. For this has been your custom from the beginning, to do good to all the brethren in various ways, and to send resources to many churches which are in every city, thus refreshing the poverty of the needy, and granting subsidies to the brethren who are in the mines. Through the resources which you have sent from the beginning, you Romans, keep up the custom of the Romans handed down by the fathers, which your blessed Bishop Sorer has not only preserved, but added to, sending a splendid gift to the saints, and exhorting with blessed words those brethren who go up to Rome, as an affectionate father his children. Recognizing that it is a bit anachronistic, Parvis suggests that Ireneaus' list might be a list of the first heads of the Vatican Bank.